1.Whisk together the flour,cinnamon, salt and baking soda. 2.Preheat the oven at 350 degree F.Prepare a 9 inch round cake pan and place a parchment paper on the bottom. Grease well. 3.Beat together the egg and sugar, add the eggs and beat to mix well. Pour the vanilla extract and mix again. 4.Fold in the flour, carrots, coconut and walnuts. 5.Pour into the pan and bake for 335 to 40 minutes or till the skewer inserted comes out clean. 6.Let it cool completely on a wire rack before frosting the cake. 7.Prepare the frosting by mixing all the ingredients together and frost. 8.Cool in a refrigerator before serving. Outrageous carrot cake. Looks perfect. Niceee YUM! Wow! love the frosting and the crumbly look on the inside. Nice carrot coconut cake Namitha, Looks really good. Carrots n coconut cake is yummy! beautiful n delicious looking cake...liked the combination of carrot n coconut together...yummy! Ohhw wow..Great combo Nami,,Sure it would have tasted great alle..
Looks great..absolutely love the combo...yummy. Looks great and love the presentation. Looks great.. Love the addition of coconut.. Wonderful recipe, love the idea of adding coconut..
want to grab it off the screen... yum! Adding coconut is beautiful idea..looks gorgeous thru ur lens..
One more awesome looking presentation..lovely recipe.. Such delicious cake and lovely presentation. Thats a very beautiful cake namitha, loved the combo of carrot and coconut...simply delicious.. 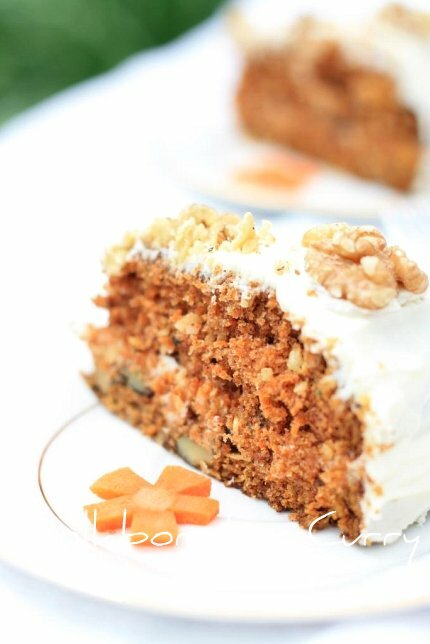 The perfect carrot cake. Thanks for sharing a beautiful recipe. Bookmarked. Clicks are excellent and enhances the richness of the cake. Cream cheese on a carrot cake is decadence at it's best. this look beautiful and am sure it taste good too! That's a really easy and good looking recipe. Nice clicks. i have been wanting to try it too..it looks gorgeous. A sensational cake! Love the combination of coconut and carrot. I can bet my life on the fact that I can devour this entire thing down in one go! Yum! 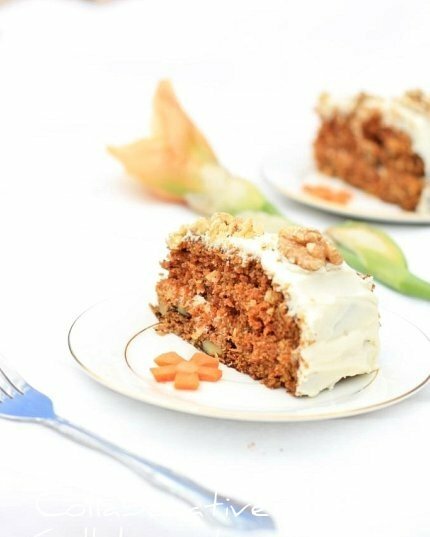 This carrot cake looks beautiful and is chock-ful of carrot flavor. very tempting cake and a beautiful click, Namitha! Lovely and beautiful cake, looks tempting and yummy. Hope you're having a lovely time in India, getting fattened up by Amma's khana! Wish you truck loads and more of fun!! Hmm,,nice n yummy delicious cake dear I like carrot cake very much adding coconut sounds great n sure it will taste good. looks wonderful .... adding coconut is a added twist... bet it taste gr8. As always wonderful clicks! Very well presented ...looks absolutely delicious.. 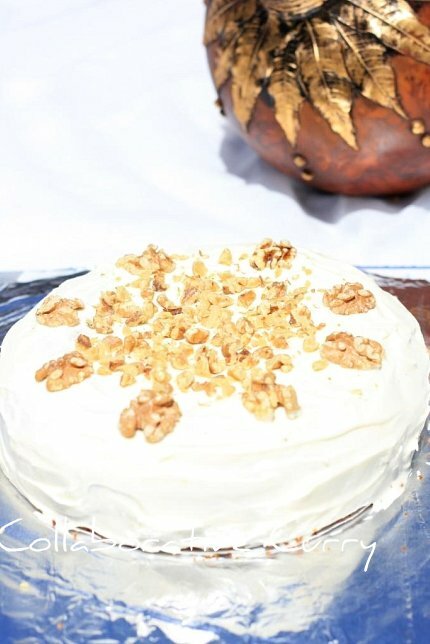 I am drooling at the sight of the carrot cake it looks absolutely wonderful. THis is new to me. I have never tried adding coconut to my carrot cake... will try it. Looks gorgeous! !.